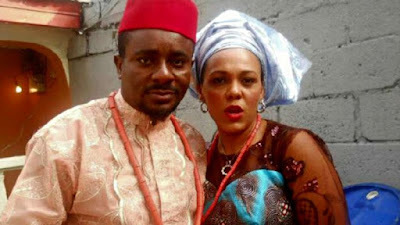 Even as Emeka Ike’s marriage to his ex wife, Suzanne, was dissolved by the court not too long ago, Emeka said it was a “Kangaroo judgment”, as he didn’t sign any document and neither he nor his lawyer was in court. “The court dissolved my marriage illegally; I want people to get it right. For you to dissolve a marriage, the man and his lawyer must be present in court to sign some documents. Ask them, was either my lawyer or myself present in court on that day? Is it possible to say the marriage has been dissolved? My wife says that I am a wife beater but the same woman two years ago in church during counselling, wrote it down that I am a caring man who is selfless and loves his family. She wrote that I love her and my lawyer still has the written note. She made this statement at The Redeemed Assemblies of God church in Magodo, Lagos. Can I possess all these and still beat my wife? Six months later, she began to sing another tune and I know she was advised by some people that it was the only way to leave the marriage. “The reason why I have not signed the papers is because of the blackmail involved and my name that has been tarnished. She is spoiling my name; I would fight to clear myself of being called a wife beater with everything I have. I hate being referred to as a wife beater because I am not one. Any man that does that does not deserve to be called a father or a man because you are stronger than the woman,” he said. “This is the story of my life. This is a woman whom I brought out of a one room apartment she was living with her mother, the other room was covered with zinc but I built a two-bedroomed apartment for them. I went to her village and built a three-bedroomed apartment for her. I trained her from secondary school to Master’s degree level. Is this how she is supposed to pay me back? No one is looking at all this but they would go online to say that I am bitter. Some men suffer like me but they died for nothing. That is why I dedicated my award to all the men that lost their lives to the women they loved,” he said. Also, recently, a picture of the actor and a lady surfaced online and so many believed the lady with him is the new love in his life. But in the chat with Saturday Beats, Emeka said the lady is “just a friend”.